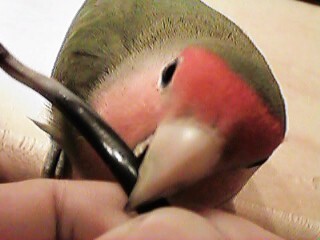 I am a Peach Faced lovebird. I win big prizes on the Internet for my family. I won them a color scanner. I love to help around the house. Here, I am helping plug in the modem.